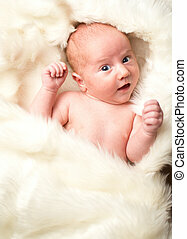 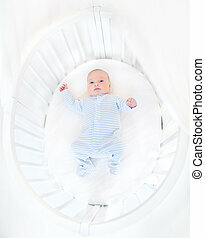 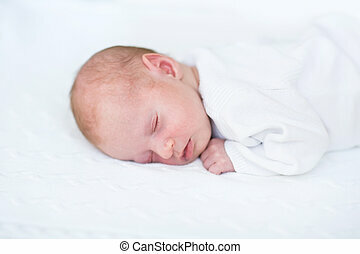 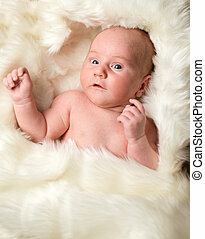 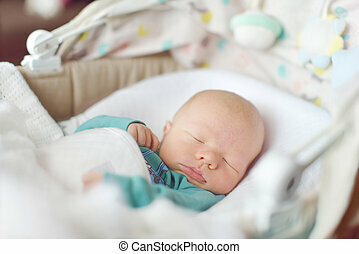 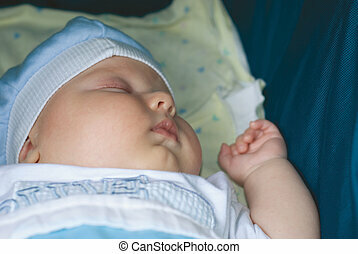 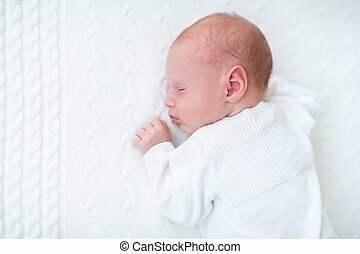 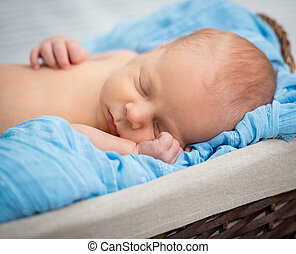 Cute newborn little boy sleeping in a white round crib. 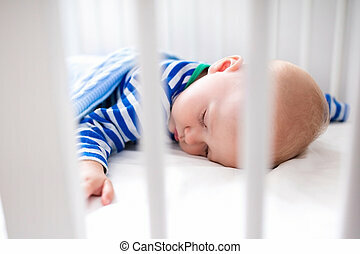 Sleeping baby and his toy in white crib. 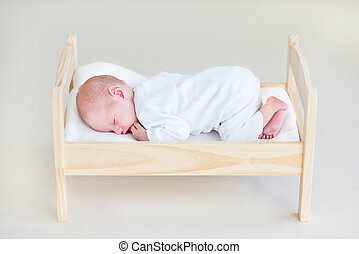 Nursery interior and bedding for kids. 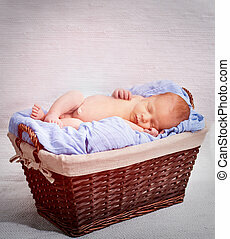 Cute little boy napping in bassinet. 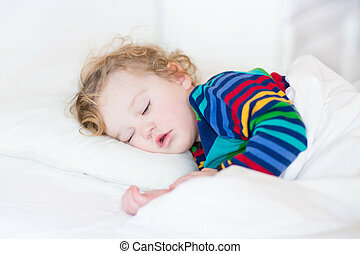 Kid taking a nap in white bedroom. 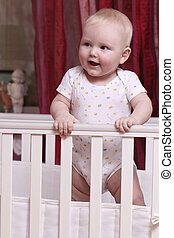 Healthy child in bodysuit pajamas. 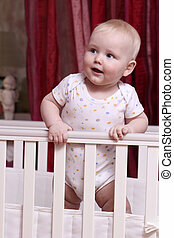 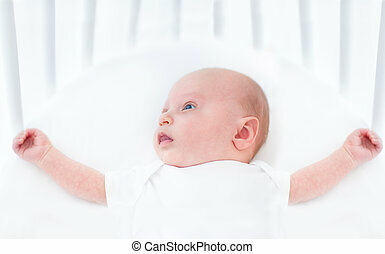 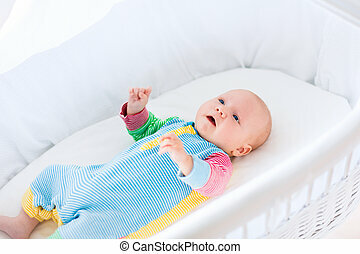 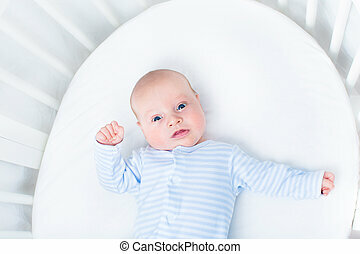 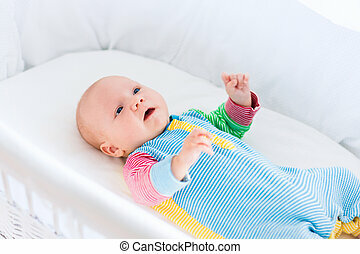 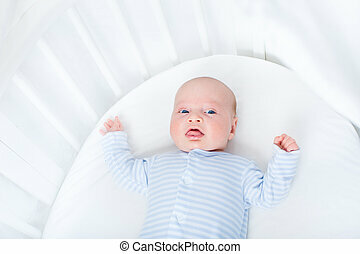 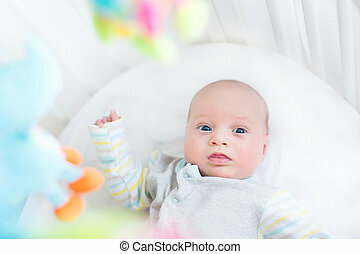 Newborn baby boy playing in bed on a sunny morning. 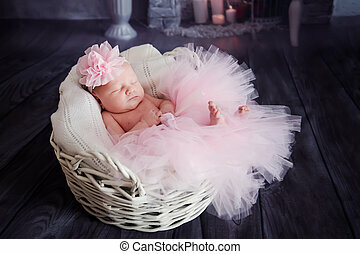 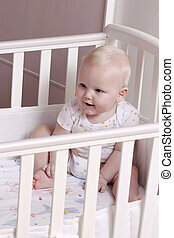 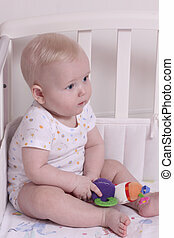 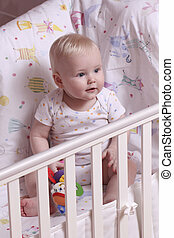 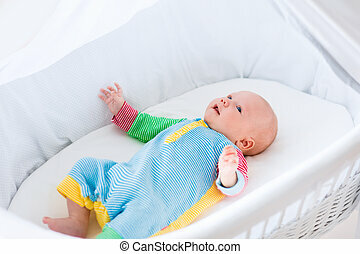 New born child relaxing in bassinet. 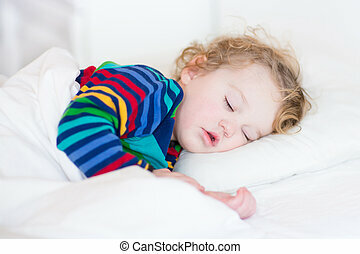 Children sleep. 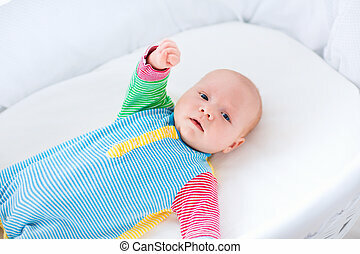 Bedding and clothing for kids. 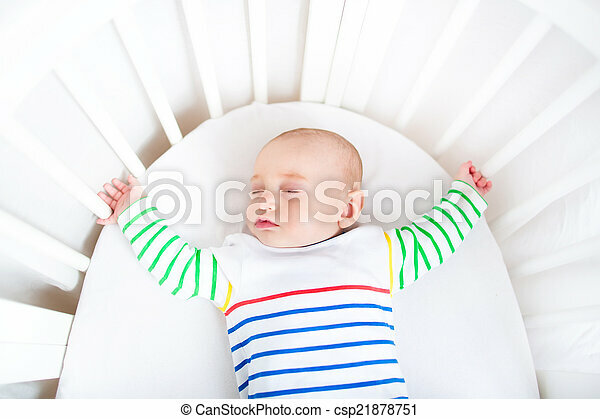 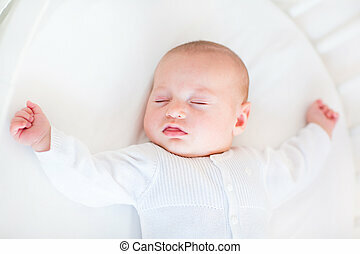 Infant napping in bed. 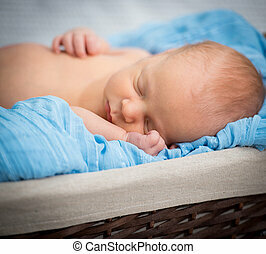 Healthy little kid shortly after birth.